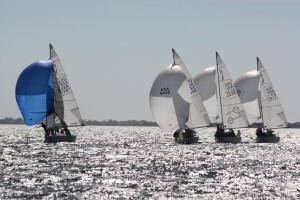 Tampa, Florida – One race was completed in light 4-6 knot winds on the final day of the 2012 J/24 Midwinter Championship, hosted by the Davis Island Yacht Club. Peter Bream and his Team Tarheel from Jacksonville, Florida led the regatta wire-to-wire to repeat as winners of this year’s event. Bream’s consistent top-five finishes through 9 races allowed him to cruise to victory, finishing with a 9 point margin over John Mollicone of Newport, Rhode Island in second overall. Third place overall went to Tony Parker of Annapolis, Maryland. Thanks go out to the great team at the Davis Island Yacht Club, Mount Gay Rum and all the other regatta sponsors. 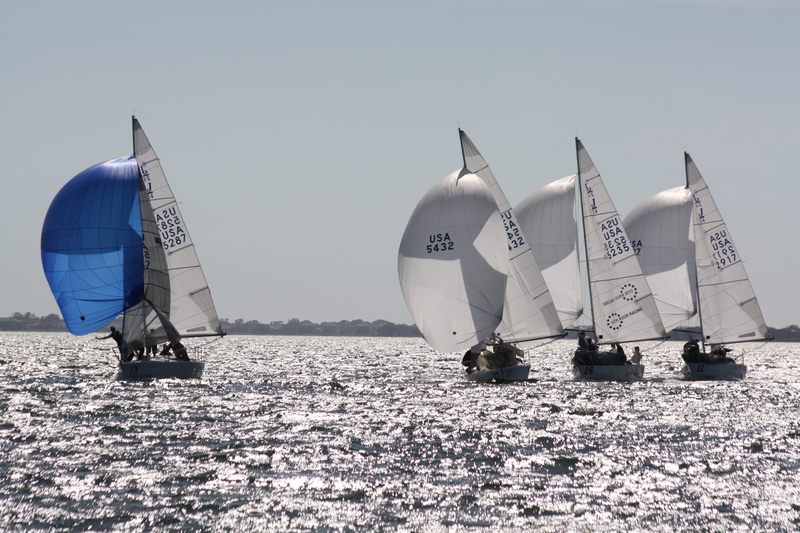 The J/24 Midwinter Championship again returns to DIYC in February, 2013.